Die cut to hang perfectly off most door knobs, these 14pt cardstock promotional pieces are the rockstars of the home sale, repair and cleaning industries. 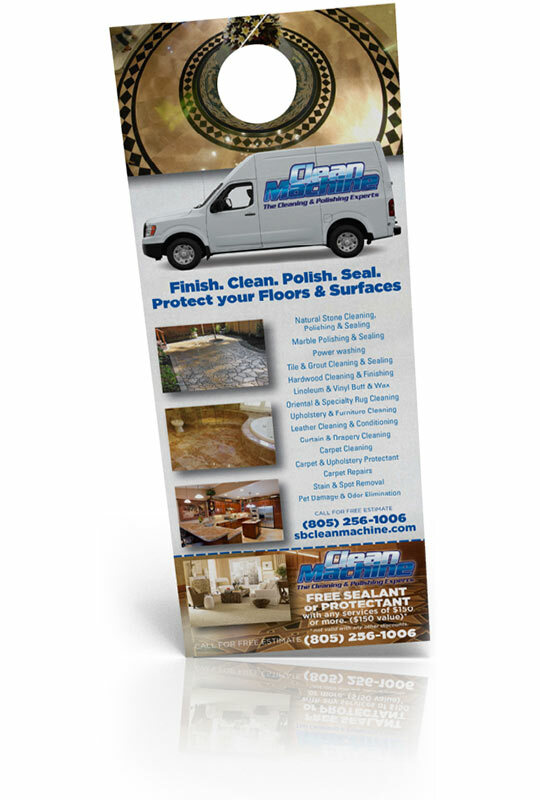 UV coated for a luxurious gloss, information can be provided to neighborhoods everywhere. Single or double sided options are available.